Got a spare $111 million lying around? Buy a nuclear power plant! A business tycoon from the US has recently made history, he became the first ever individual to purchase a nuclear power station. Franklin J. Haney, whom has made his fortune through being an innovative property developer, acquired the Alabama based nuclear power station at an auction on November 14th. Mr.Haney, has built himself quite the reputation on the journey to attaining his fortune, he’s established a status for ‘innovative financing’ and ‘imaginative acquisitions’, of which the ‘imaginative’ and ‘innovative’ are certainly justified in his latest purchase. However, his initial investment of $111 million is just the start of his spending intentions for this project. After attaining a number of interested parties from the beginning, the day of the auction only actually saw 2 interested parties battling it out. Jackson Holdings of Alabama LLC, were the competition faced and made a serious challenge of it, bidding up to but no higher than $110 million. The 75-year-old has vowed to rejuvenate numerous communities in Tennessee and Alabama, pledging that the completion of the plant will create in excess of 4’000 jobs, whilst operating the plant will create 2’000 permanent and highly-paid jobs. Along with the incomplete 2.6GW power station, which has for years been ransacked for spare parts, Haney will get 1,400 acres of property on the Guntersville Reservoir. 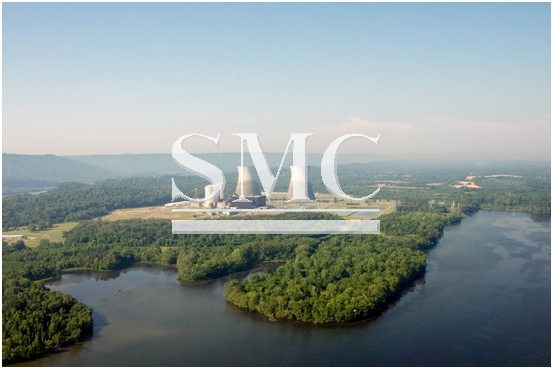 To hold him to his promises regarding the site, the seller, state utility Tennessee Valley Authority (TVA), stipulated that Haney must invest at least $25m on the property within five years of closing the deal, and he has two years to close the deal. It contains two partially built Babcock & Wilcox pressurised water reactors. When TVA halted construction in 1988, reactor 1 was approximately 90% compete, and reactor 2 was approximately 58% complete. But after years of removing assets from the units, and following subsequent inspections, the reactors were deemed 55% and 35% complete, respectively, in 2009. HS2 railway gets the green light! Despite considerable opposition to the idea, the British government has announced they will be going ahead with plans to build the highly anticipated High-speed 2 (HS2) railway in full. The line is estimated to cost the country somewhere in the region of £56 billion and will considerably reduce travel time between some of the country’s most economically integral cities including London, Manchester, Birmingham, and Sheffield. The country’s transport secretary, Chris Grayling, said “HS2 will be world’s high-techest, smartest, fastest railway. 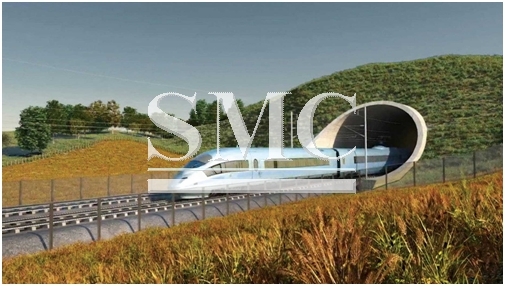 It will be a state-of-the art railway. This is faster than the Japanese bullet trains, and more state-of-the-art. This will be the fastest, most modern railway in the world.” Once the entire system is fully operational, the new trains will carry 300’000 people a day, tripling the number of available seats out of London Euston station. Much of the rail-line is going to be situated in the north of the country, which could be an immediate response to the message delivered by the Brexit vote. A large proportion of the country whom voted to leave the European Union were based in the north of England, a part of the country which for many years felt they were being neglected by the government when it came to large-scale investments. Much of the motive behinds the vote was people felt the country was chucking needles amounts of money into the European Union, whereas it could have been better used in domestic developments. Grayling has stated that HS2 is not just about making journey’s quicker but also to address the capacity issues being felt by train operators, where many of the countries commuters are forced to stand on their journey’s due to a lack of seats. “We all know our railway system is full. Too many people have to stand, and there are too many people sitting in traffic jams on roads behind endless rows of Lorries. “You can’t solve that problem unless you build something new, and by building something new, why would we build something old-fashioned? The government has also vowed to allow as much of the project as economically possible to be contracted to British manufacturers, which Grayling describes as “overwhelmingly good news for British business and for British skills and for British manufacturing”. Africa is becoming a renewable energies headquarters! When completed and operating at full capacity, it’s predicted that 160’000 people will have access to clean power, a move that will drastically increase the countries chances of 20% renewables by 2017. “With no energy, there can be neither growth nor development. With the Bokhol facility, we are now able to take a new step and Senegal comes unreservedly into a new, clean energy period,” said President Macky Sall. 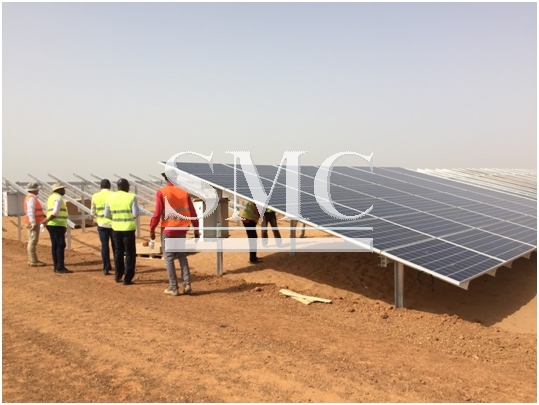 Senegal is eager to attain a position as one of the continent’s leading countries in renewable energy production, as well as positioning itself as the leader in West Africa; currently, South Africa and Morocco are the flagbearers for the continent. A number of the world’s largest hotel chains are betting on Africa being their next big investment opportunity. Africa’s tourism sector is already on a momentous upwards slope and this is the obvious trend that has caught the attention of some of the world’s most renowned hotel names, such as, The Hilton, Fairmont and the Jumeirah group. Starwood, Marriot and the Four Seasons have also publically stated they intend on investing heavily across North, South and Central Africa in the five-years between now and 2021 that experts predict will be one of the largest periods of hotel growth in the continent’s history. 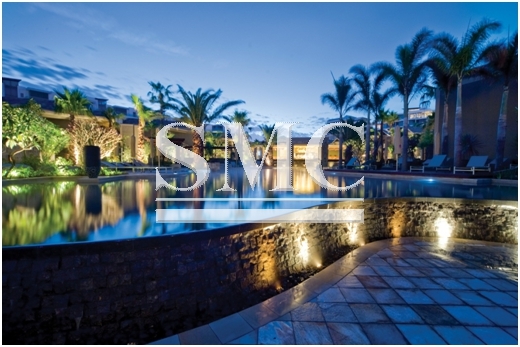 Not only does the hotel boom in Africa provide more opportunity for the tourism industry but it also presents an abundance of opportunity for the continents architects, interior designers, real estate developers, buyers and engineers working on not only hospitality, but retail, commercial and residential developments. After it was announced on Friday that the EU had set higher import duties on two popular steel products from China, the country has hit back labelling the investigation methods as ‘unfair’. China’s commerce ministry have led the protests against the decision, labelling it “unfair and unreasonable” and “seriously damages the interests of Chinese enterprises”, due to it being a method commonly used against non-market economies. The duties have been imposed after recent outcries of concern over the declining state of European steel industry; Britain alone has seen 5’000 jobs axed this year, primarily down to the collapse of Tata Steel UK. The EU has largely blamed China for the declining European Steel market, accusing them of dumping ludicrously cheap steel on the market, which doesn’t give competitors the opportunity to compete. However, China who is the suppliers of 50% of the world’s steel and the largest consumer of steel, have claimed that the accusations are unjust, considering Chinese steel products represent just 5% of the European Market and have said weak economic growth is the reason behind said problems. “China hopes the EU will strictly respect relevant World Trade Organization rules and fully guarantee Chinese companies’ right to protest,” the ministry said. The EU’s duties are set at between 13.2 and 22.6 percent for hot-rolled flat iron and steel products and at between 65.1 and 73.7 percent for heavy plate steel. The war of trade between the EU and China doesn’t look like ending any time soon, considering the EU are still debating whether to grant china ‘market economy’ status, something China firmly argues is a given right considering in December they will have been a member of the World Trade Organisation (WTO) for 15 years. 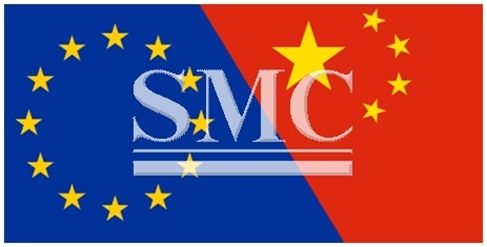 The commission has said that China is not a market economy and that it would not recognize it as such, but would adopt a new method to set duties that would abide by WTO rules. 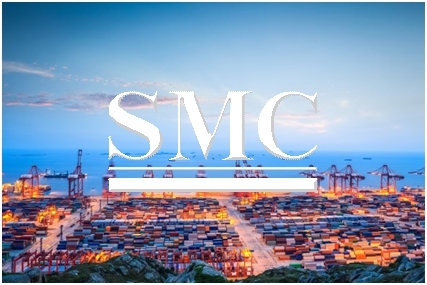 The port of Shanghai has further increased its lead over second placed Singapore, to remain the world’s busiest container port, according to statistics compiled by the Journal of Commerce. Singapore, which for a long time was the worlds busiest has fallen further behind by a staggering 5.6 million TEUs (20-foot container equivalent). The port of Shanghai handled 36.5 million TEU’s… there is a reason that China is called the factory of the world. It should be noted though, that the increased margins between Shanghai and Singapore was not necessarily down to improvements from Shanghai but more a slowdown from the port of Singapore, with container volumes falling for a fourth consecutive year. In a report earlier in the year, Fitch-owned BMI Research concluded Singapore was unlikely to regain its position as Asia’s biggest transshipment hub, as it has largely reached its capacity. “For the port of Singapore to retain its position as the premier Asian transshipment hub and battle the port of Shanghai for first position, Singapore must continue to expand and keep up with shipping trends,” BMI wrote. In a rather impressive statistic, seven of the world’s 10 largest container ports can be found in China (including Hong Kong), only the port of Jebel Ali, Dubai, can be found outside of East and South-East Asia.